Fed rhetoric turned out to be in line with our expectations. The US dollar weakened in all directions, as the FOMC announced that it would not increase rates in 2019 and would adjust the balance reduction program. And if the interest rate increase is no longer a fresh news, the balance reduction adjustment program has already reflected in the dollar fall. Today we would say that the market reacted very nervously to such statements. The head of the Fed did not say how much these adjustments would be, but explained that this plan would be finalized at the next meetings. For us, this means that in subsequent press conferences or speeches of the Fed representatives, we can hear the size of the adjustment of this program. This should be monitored, and the market will follow. In the meantime, we do not know this, we can assume that the dollar will weaken slightly in relation to everything by inertia, and will hang in the global outset until the monetary policy is clarified either by the United States or the Eurozone. From a technical point of view, we pay our attention to two zones. The first, 1,1432-1,1390, looks good. 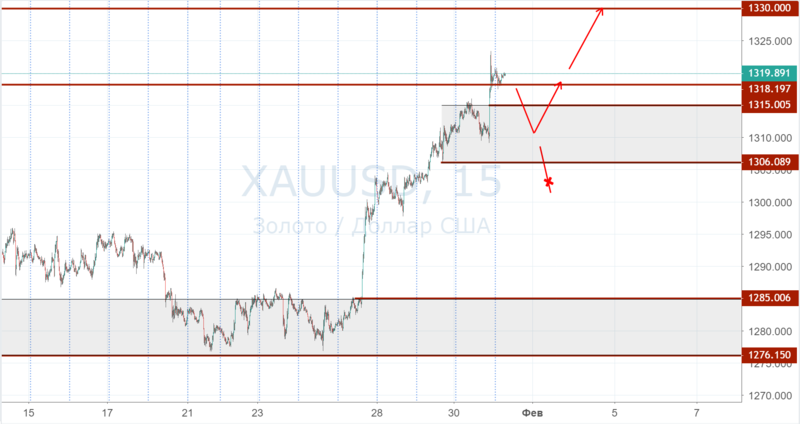 If the price is adjusted there, then we will buy there with targets of 1.1520 and 1.1550. And if the price falls below 1.1390, then we cancel all thoughts about future purchases. But there is a riskier zone. This is 1.1480-1.1460. As long as the price is above this mark, the purchase is in priority, and the indicated goals will be about to be achieved. It is worth mention that in addition to the negative news from the Fed, the Gold futures contract has been updated to the new one. 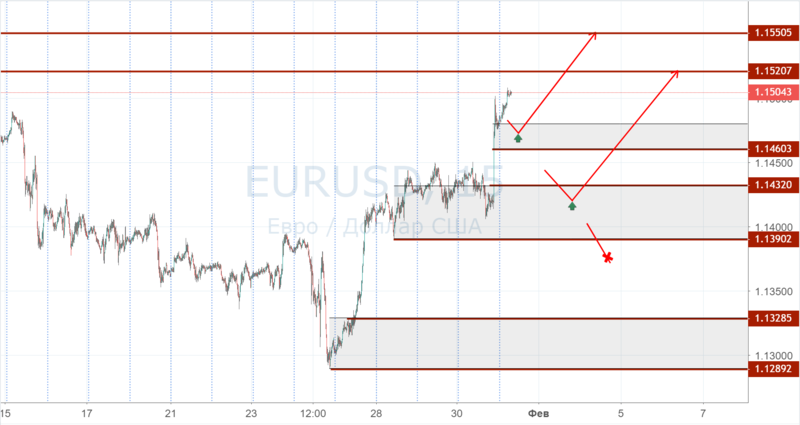 Therefore, we have the opportunity to identify the zone of possible support. This is 1315-1306. While the price is above 1306, we will only talk about purchases. If they are already there, great. Instability in the world, weakening of the US dollar, all this causes gold to grow. And even tomorrow's publication of the US labor market will not force us to change the trend.